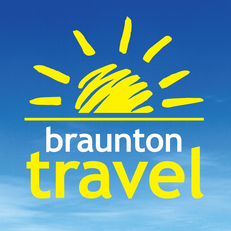 These Booking Conditions, together with our privacy notice and any other written information we brought to your attention before we confirmed your booking, apply to your booking with Braunton Travel of 10 South Street, Braunton, Devon, EX33 2AA ("we" or "us"). Please read them carefully as they set out our respective rights and obligations. In these Booking Conditions references to "you" and "your" include the first named person on the booking and all persons on whose behalf a booking is made or any other person to whom a booking is added or transferred. If you have any further questions after reading these booking conditions then please contact our customer services team who will be happy to help you. We are an Accredited Body member of Hays Travel Ltd, ATOL 5534. This means that Hays Travel allows us to trade under their ATOL in accordance with the terms of Accredited Body membership. We sell travel services on behalf of Hays Travel and benefit from Hays Travel's membership of ABTA with membership number P6699. We do not make any charges for payments by debit card. Payments by bank transfer are also accepted (please ask for details). When making your booking we will arrange for you to enter into contracts with the suppliers (tour operator/airline or other supplier) named on your booking summary. For most bookings we act as agent for the supplier but we act as your agent when making a booking with most no frills airlines. Details will be given at the time of booking. The supplier's booking conditions will apply to your bookingand we advise you to read these carefully as they contain important information about your booking. They may limit or exclude the supplier's liability to you, as well as in accordance with applicable International Conventions. Please ask us for copies of these if you do not have them. Until a component has been confirmed by the individual supplier, no contract has been formed. You may wish to purchase flights, hotel, car rental, transfers or other services on our website. The products shown are subject to availability. Each component will be provided by different third party providers of the products you have selected. Your contract will be with the individual suppliers and not with us. As an agent we accept no responsibility for the acts or omissions of the supplier or for the services of the supplier. 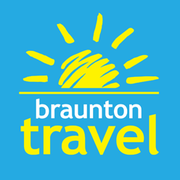 However, depending on which arrangements you book with us a combination of travel services may be a package under the Package Travel Regulations for which we are responsible as a package organiser (see "Where we are a package organiser" below). Your contract is with the supplier and its booking conditions apply. Unless we act as package organiser (see "Where we are package organiser" below),as agent, we accept no responsibility for the actual provision of the travel services. Our responsibilities are limited to making the booking in accordance with your instructions. We accept no responsibility for any information about the arrangements that we pass on to you in good faith. However, in the event that we are found liable to you on any basis whatsoever, our maximum liability to you is limited to three times the cost of your booking (or the appropriate proportion of this if not everyone on the booking is affected). We do not exclude or limit any liability for death or personal injury that arises as a result of our negligence or that of any of our employees whilst acting in the course of their employment. Please note that ATOL protection is not available for flights with low-cost carriers or where your payment is made direct to airlines unless they are part of a package (see "Where we are package organiser" below). Where necessary, we will add supplier failure insurance to your booking automatically. This protects you by insuring us against the costs of refunding or replacing your booking if a supplier fails. If applicable we will charge an administration fee for supplier failure cover which will be shown on your booking confirmation. We are a member of ABTA, membership number P6699. We are obliged to maintain a high standard of service to you by ABTA’s Code of Conduct. We can also offer you ABTA’s scheme for the resolution of disputes which is approved by the Chartered Trading Standards Institute. If we can’t resolve your complaint, go to www.abta.com to use ABTA’s simple procedure. Further information on the Code and ABTA’s assistance in resolving disputes can be found at www.abta.com. We strongly recommend that you take out adequate travel insurance and it may be a condition of your contract with suppliers. Your insurance should offer cover for you and your party against the cost of cancellation by you; the cost of assistance (including repatriation) in the event of accident or illness; loss of baggage and money; and other expenses. If we have issued your policy please check it carefully to ensure that all the details are correct and that all relevant information has been provided by you (eg. pre-existing medical conditions). Failure to disclose relevant information will affect your insurance. If you fail to travel with adequate insurance cover we will not be liable for any losses in respect of which would have been covered by such insurance. Except where otherwise expressly stated in these booking conditions we will not be liable or pay you compensation if our obligations to you are affected by any circumstances which we or the supplier of the service in question could not have avoided even if all reasonable measures had been taken. These circumstances can include, but are not limited to war, threat of war, civil strife, terrorist activity and its consequences or the threat of such activity, riot, the act of any government or other national or local authority, industrial dispute, natural or nuclear disaster, fire, chemical or biological disaster, weather conditions which make it impossible to travel safely to the destination and all similar events outside our control or the control of the supplier concerned.